Is there a baby on the way? Do I want to live in a larger space? Do I need another bathroom? 2. Do I have enough space? Space is often a big issue, especially if you're living in an apartment. 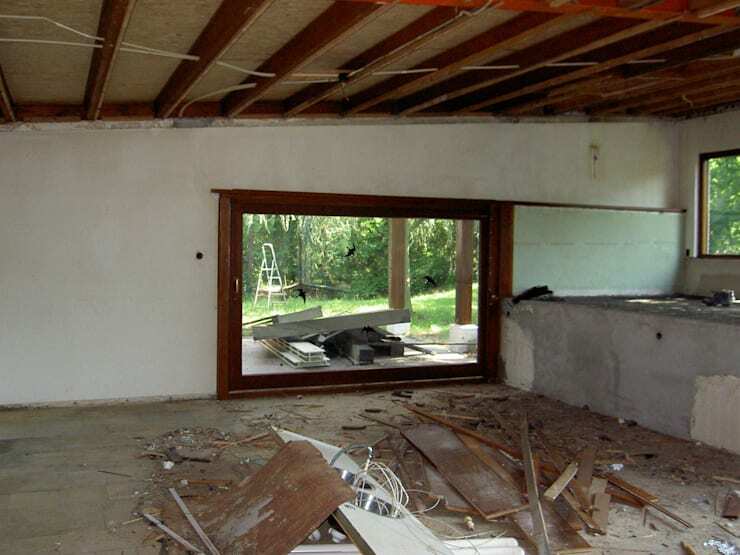 Once you have clear answers to these questions, then get started on your renovation project. In today's ideabook, we'll show you 5 renovated homes that are a wonderful source of inspiration. Shall we get started? 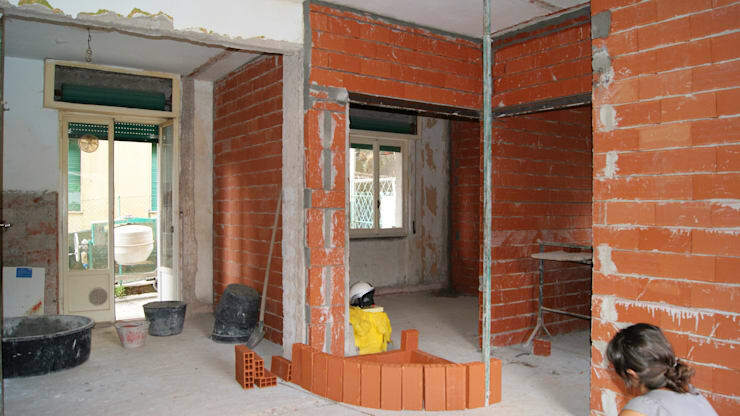 This project involved the complete demolition of the interior walls, which of course meant that the designers had a free hand in the design. Here you can see the entrance of the house with the kitchen and the living room in the foreground. The new design incorporates curves, shapes and dynamic movement of the walls and roof. The demolition of the walls allowed for a rethink of the space. 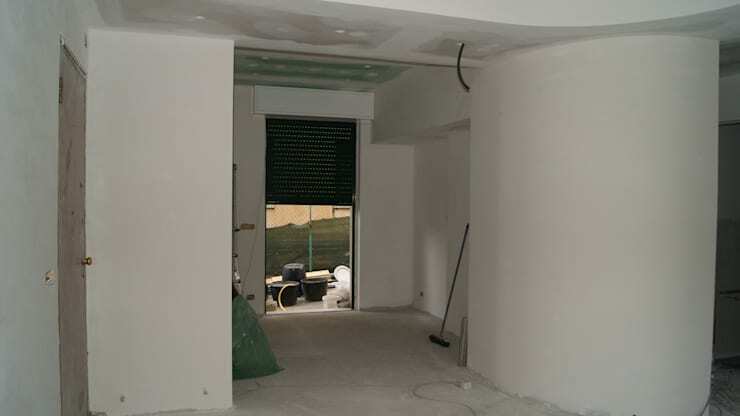 In this image, we see the first phase of the renovation and in the next one, we can see the work in progress. 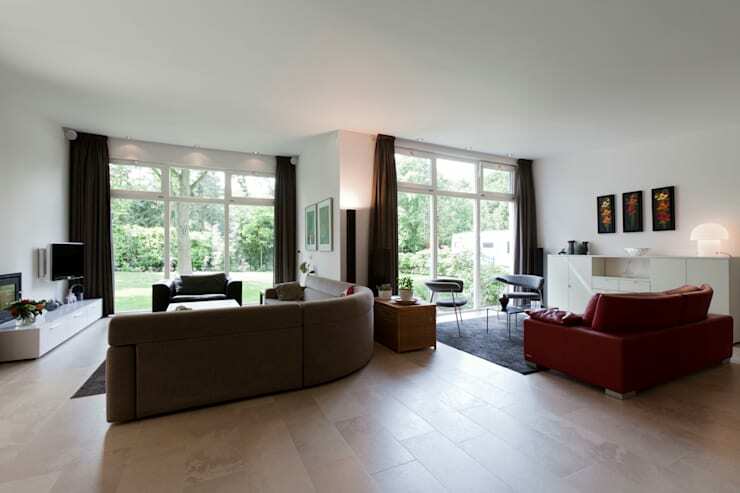 Today, the living area has a bright, airy atmosphere thanks to the light flooring, white walls and gentle LED lighting. The goal was just that: to create an impression of more light and space. Would you believe this is the same space as the one we saw first? 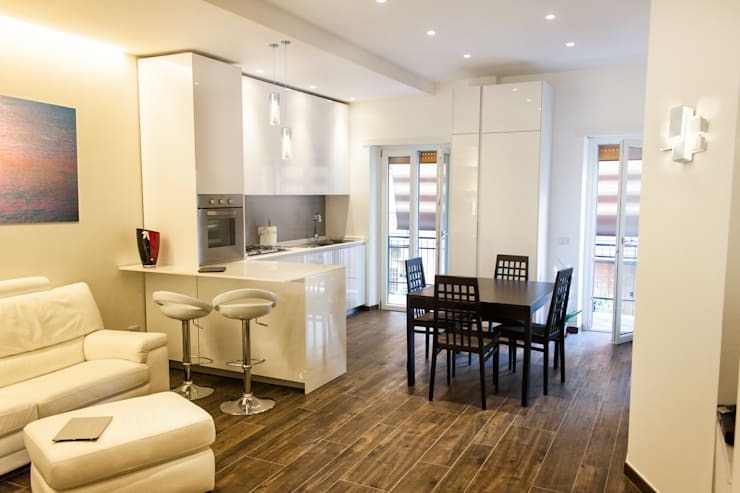 For this remodelling project, the architect had to take into consideration the structural engineering of the building in which the apartment is. 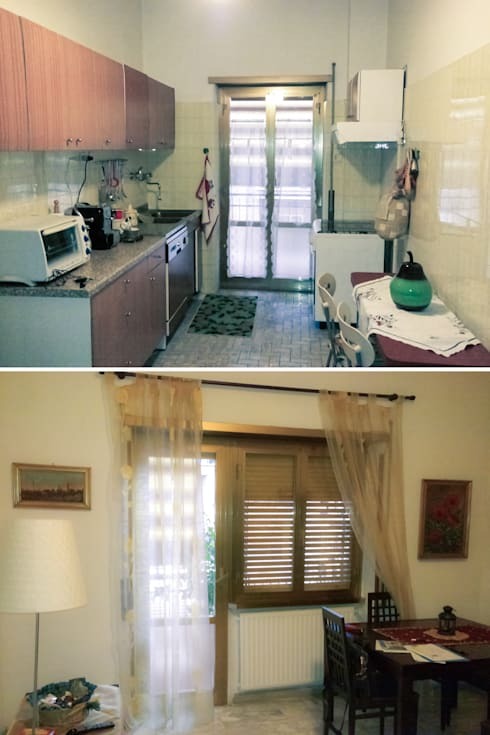 The image shows how the property was divided before the renovation: the kitchen and living area with a common balcony overlooking the city were separated by a wall; another corridor leads to the bathroom and the bedroom. Almost unrecognisable, isn't it? In the new, revamped design, we see a warm and welcoming living space that is full of space and light. The kitchen, living room and dining area have been integrated to create one communal space. The neutral yet warm colour palette also goes a long way in creating the sophisticated yet inviting vibe of the space. 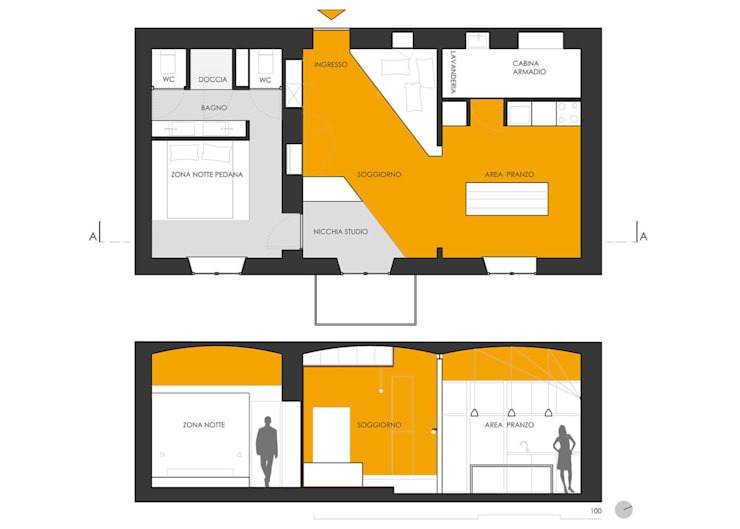 The floor plan reveals how the architects have torn down walls to make way for a more open space. In addition to the first bathroom that has a bathtub, a second one—this one with a shower of 90 x 90 cm—was added. Although located in a beautiful green space, this house was falling apart at the seams. Today, large French doors that open out onto the garden blur the boundaries between outside and inside and create a wonderful organic space. This provides plenty of natural light, making the whole house much more brighter and comfortable. 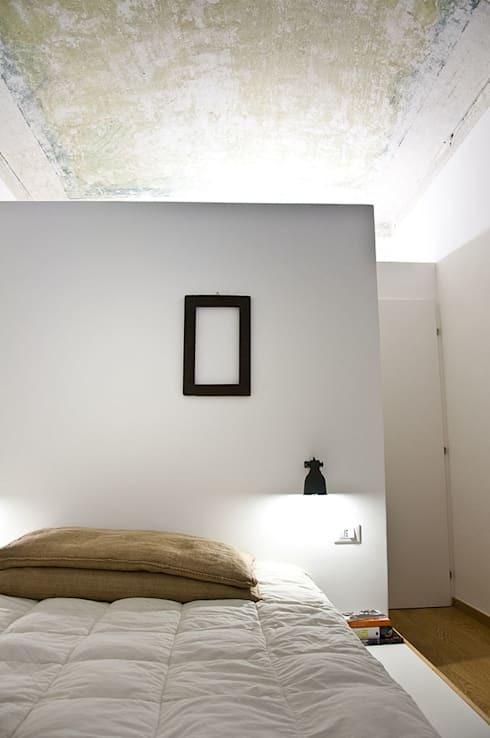 The high ceilings, white surfaces and wooden flooring make the vibe cosy and modern at the same time. From disaster to outright beauty! Here, you can see the before and after images set next to each other—making the differences all the more marked! What was earlier a long corridor that was wasted space has been given a renewed sense of purpose—from wall-to-wall, it houses integrated storage cabinets where the family can store away their stuff so that the house doesn't appear cluttered. 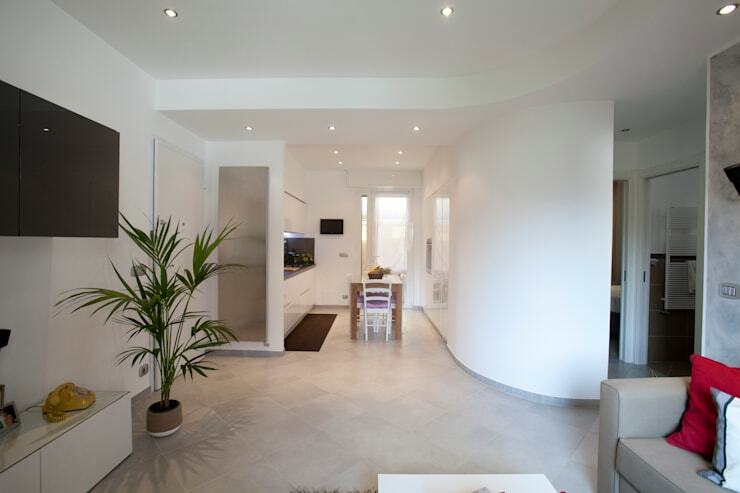 The white colour scheme keeps it simple yet elegant. 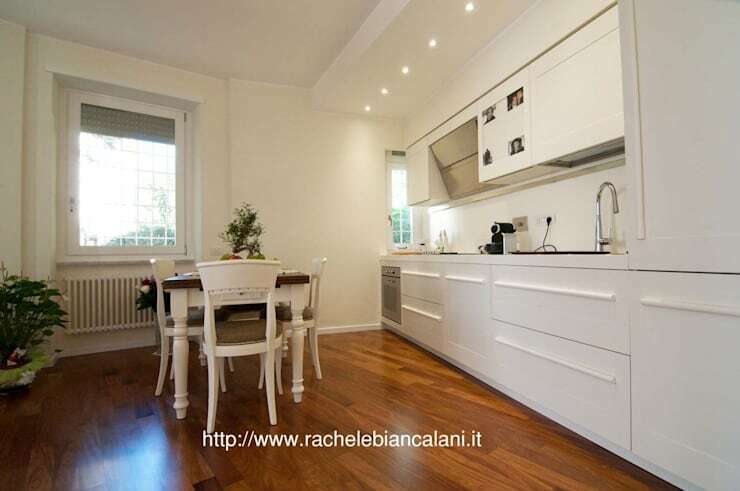 This gorgeous fully-integrated kitchen has been designed adjacent to the living area. Once again, the white palette along with the warm timber flooring adds a timeless appeal to the whole space. 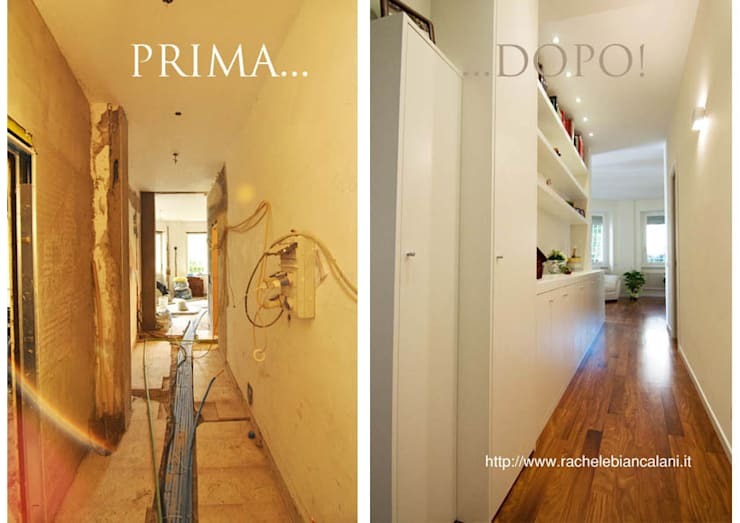 A dull 60sqm space becomes a haven of comfort! 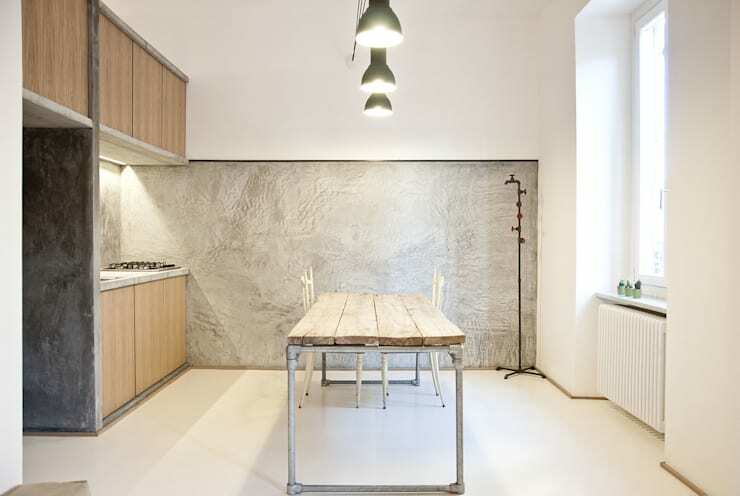 Our last project looks at a 60sqm space in Turin, Italy that the owner used to rent out and Airbnb. The house has an interesting historical feature: three separate vaults that were built in 1905! These were earlier used to separate the house into three separate spaces but in a small space such as this, that was just too much. 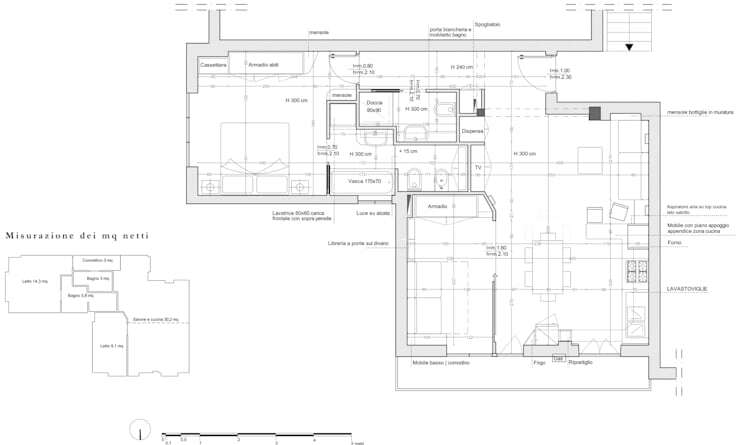 Let's take a closer look at the house plan. The vertical sections shows the three vaults and how the spaces were separated. 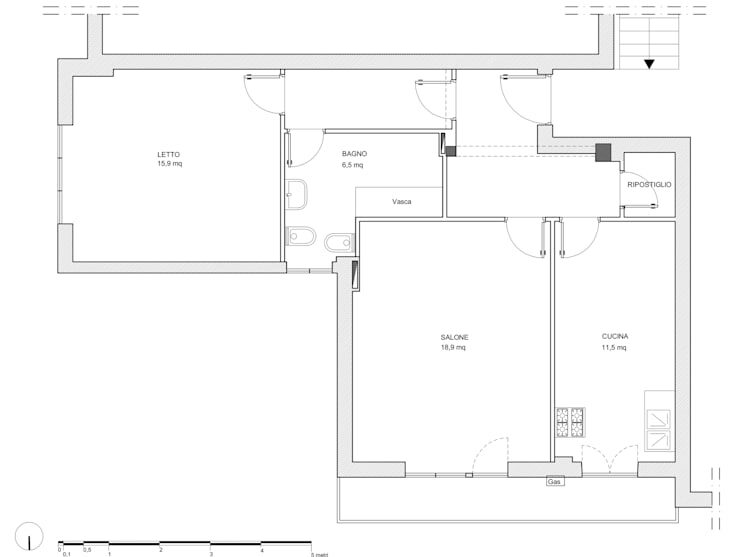 The new plan proposed a different distribution where 2/3rd of the space would be used as the living room while the remaining third would be divided between the bedroom and the bathroom. For more inspiration and ideas, check out 24 simple ideas for a living room to envy. Which one was your favourite renovated space?